Welcome to Monday Matters. Spread awareness to help important causes and start your week off right by making a difference each Monday, even if that is just to pin, tweet, or share to pass this information on. 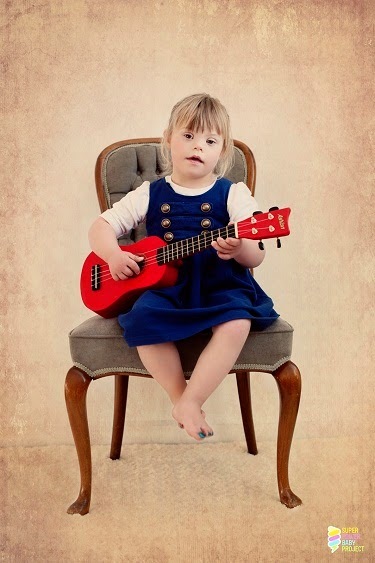 “Evie is disabled, she has defects, she can’t do…. she won’t ever do……..
That felt all wrong, because to us, Evie was a miracle! She was perfect! She was beautiful and she made our lives so wonderful and we could see that she enjoyed life and could do lots of things” Rachel Callander, the Super Powered Baby Project Blog. What is the Super Powered Baby Project? Changing the way people view “disabled” children by changing the language used when talking about people with “defects”. Focusing on their positive traits, the amazing things they can do or “celebrating awesomeness” through the creation of a photographic art book of 50 children from all over New Zealand with a range of chromosomal and genetic conditions – aka “super powers”. It has stunning photographs by an award winning photographer and tells the amazing stories of each child and identifies their super powers. These are the unique things they can do because of their syndrome. Get your copy of the Super Power Baby Project Book on Amazon now. What inspired them to do this? She was born with partial trisomy 9q and partial monosomy 6p. Before this day I had never heard of these things.Chromosomes, VSD, skeletal anomalies…. so many big scary words. Like many of you in your own stories, those first few days learning a seemingly never ending list of big words, negative outcomes, various prognosis, trying to explain to family what was going on and trying to cope with it all- was really hard. Really really hard. Harder than you thought you were capable of coping with. to us in ways we were learning together as a family. writing or explaining to people that Evie had chromosome abnormalities and medical anomalies was a mouthful!! I never wanted to come out straight and say Evie is disabled, she has defects, she can’t do…. she won’t ever do…….. This book inspires hope, acceptance, compassion, awareness, and understanding. Spread the word, and learn more about how and why the Super Power Baby Project started. Enjoy cultural performances around the show!